Lou Reed famously didn't sell many records during his five decades in the music business, but after he died Sunday at age 71, sales increased significantly. So did radio play of "Walk On the Wild Side," "Sweet Jane," "Perfect Day" and "Dirty Blvd." Reed's album catalog sold 3,000 copies on Sunday alone, compared to fewer than 1,000 the previous week, an increase of 607 percent, and his solo digital-song sales jumped from 2,000 to 17,000, a 590 percent bump, according to Nielsen SoundScan. His Spotify streams increased 3,000 percent in the first day after his death, radio spins went up 140 percent, and Transformer and Rock N' Roll Animal hit Amazon's Top 25. "It's a shame that people don't pay attention until something like this happens," says Mark Hudson, rock buyer at music chain Trans World Entertainment, which initially struggled to meet the unexpected demand for CDs. "But, yeah, a very healthy increase." Aside from classic-rock staple "Walk On the Wild Side," radio stations have never played much Reed or Velvet Underground over the years. So his death was not a radio event on par with Michael Jackson or Whitney Houston. 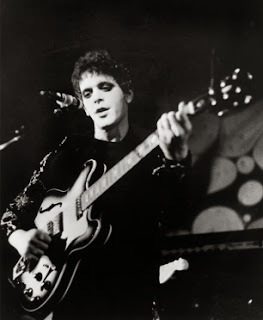 But some stations aired elaborate tributes – Sirius XM's The Loft did a 24-hour marathon of Reed's own weekly show Monday, and Chicago's WXRT played Reed songs every hour or two Monday, throwing in rarities and exclusive live tracks such as an in-studio version of "Dirty Blvd." "It's lamentable that someone as significant as he is has been so poorly represented on the radio," says Norm Winer, the station's longtime program director. Overall, according to Mediabase, spins of Reed's solo songs jumped from a minuscule 187 to 448, mostly on classic-rock and album-alternative stations. "We all recognized that his output for rock radio might be limited to a couple of titles," says Bill Weston, program director for Philadelphia's WMMR, which aired a half-hour special, including an exclusive interview, after Reed's passing. "But he's one of those artists whose influence mattered enough to draw attention to it and talk about it on-air." At Newbury Comics, Reed and VU sales spiked slightly Sunday and Monday, particularly for vinyl. "There's something there, but it's not like there's a mad rush," says Carl Mello, senior buyer for the music chain. "It's not Michael Jackson."